How does one determine the genre of a novel? When I finished writing The Reengineers, I mentally categorised it as Literary Fiction. Also, Metafiction which it is, naturally, as it explores the relationship between an author and the main character of his novel. Early readers and reviewers categorised it under Young Adult, Coming of Age, Magic Realism and Inspirational Fiction among others. The Reengineers could be classified under Young Adult Fiction as it is the coming of age story of a fifteen year old boy, and as it was plotted based on the hero’s journey. It could be placed under Magic Realism for it is the story of a surreal adventure which, though it happens in a parallel universe, is firmly rooted in its own reality. It could also fit into the labels of Inspirational Fiction and Spiritual Fiction, as it talks about the hero’s self-empowerment and the triumph of free will over destiny. 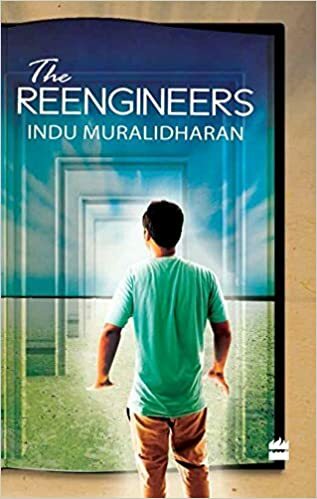 On the Amazon website, The Reengineers is categorised under Literature & Fiction, Spiritual Fiction and Philosophical fiction, all of which sound good, though the book only contains a dollop of philosophy in Chapter 7. For some reason, it is also shown under History and Religion & Spirituality. My publishers say that these last two categories would be removed shortly. Applying this logic, it could also belong under the umbrella of Self-help as besides the theme of self-empowerment, it also contains an excerpt of a fictional self help-book narrated in the form of corporate fables within Chapter 5. But if I were to choose a single, specific genre for The Reengineers, I believe that it would be the Coming of age novel with existential overtones. Novels I love in this genre include J.D. Salinger’s The Catcher in the Rye, Sylvia Plath’s The Bell Jar, Stephen Chbosky’s The Perks of being a wallflower, Ned Vizzini’s It’s kind of a funny story and the wonderful The Elegance of the hedgehog by Muriel Barbery. Each of these books have touched my heart with their wisdom, they have spoken to me in a way that I hope The Reengineers would speak to each reader.